Planter Pro is quite possibly the most important purchase you will ever make. You will never look at another row cleaner the same way again. Stop wasting time using sub-par equipment, and find out what it means to plant like a pro with Planter Pro. in Calmer Corn Heads, Inc., Calmer Corn Heads, Inc., Calmer Corn Heads, Inc., Calmer Corn Heads, Inc. Improve the quality of your soil and break down solid materials more easily with high-grade soil additives from Crop Resources, LLC. 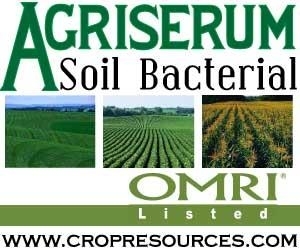 AGRISERUM® is bacteria and bacteria feeders designed to enhance the biological activity in the soil. LandLuvr™ Systems are innovative systems that specialize in mobile rubber track undercarriages for pulled applications. Our rubber track undercarriages have unmatched flexibility and weight distribution over all terrain.